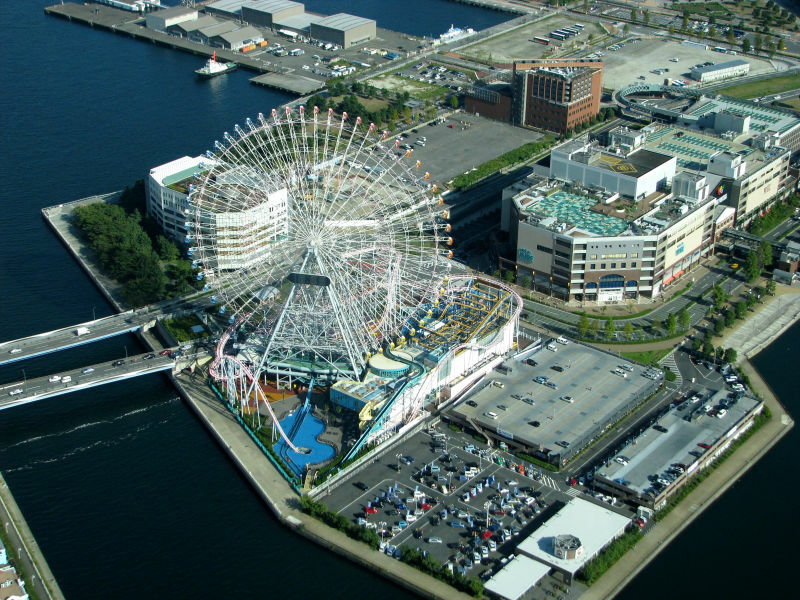 From Kamakura we continued our travel to Yokohama (photo) and visited a seaside area called Minato Mirai 21 (photo), a futuristic place of high buildings (photo) and the Cosmo World amusement park with a Ferris Wheel (photo). 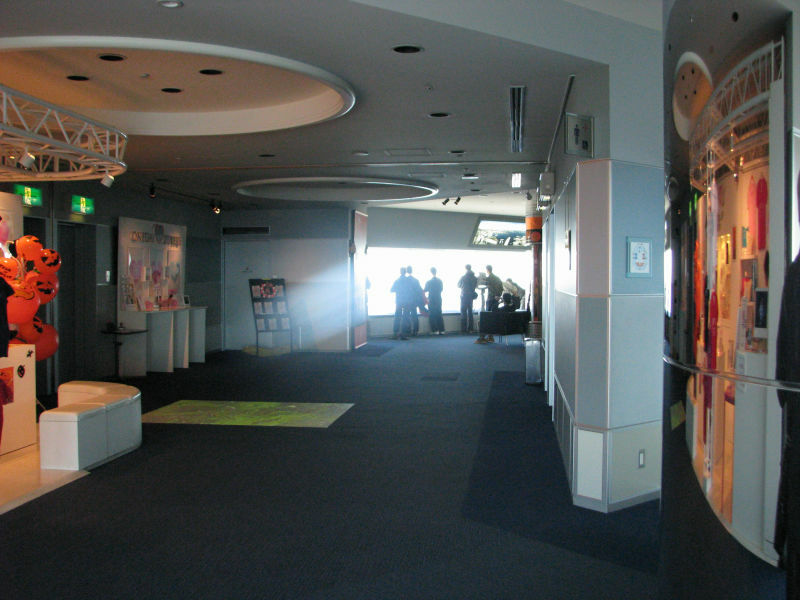 There we entered the tallest building in Japan: Yokohama Landmark Tower (photo) and took a one of the world's fastest elevator ride (top speed being 12.5 m/s - 45.0 km/h (41 ft/s - 28.0 mph), second fastest in 2011) to the observation deck Sky Garden (photo). 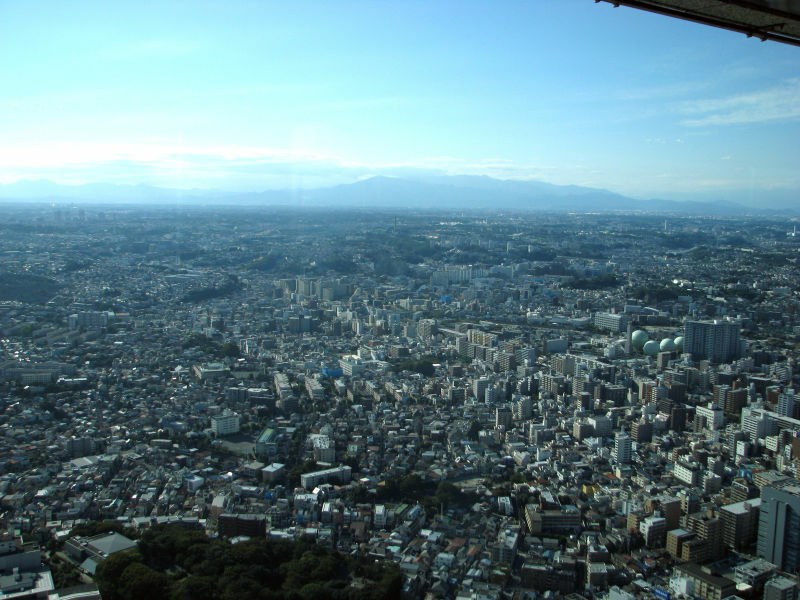 The view from that high was great (photo), but ofcourse Mount Fuji was in the clouds once again (photo). 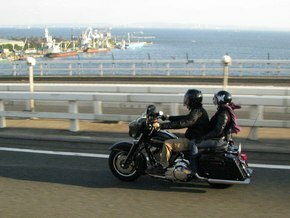 After a dinner we headed to coastal highway (photo) and Tokyo. 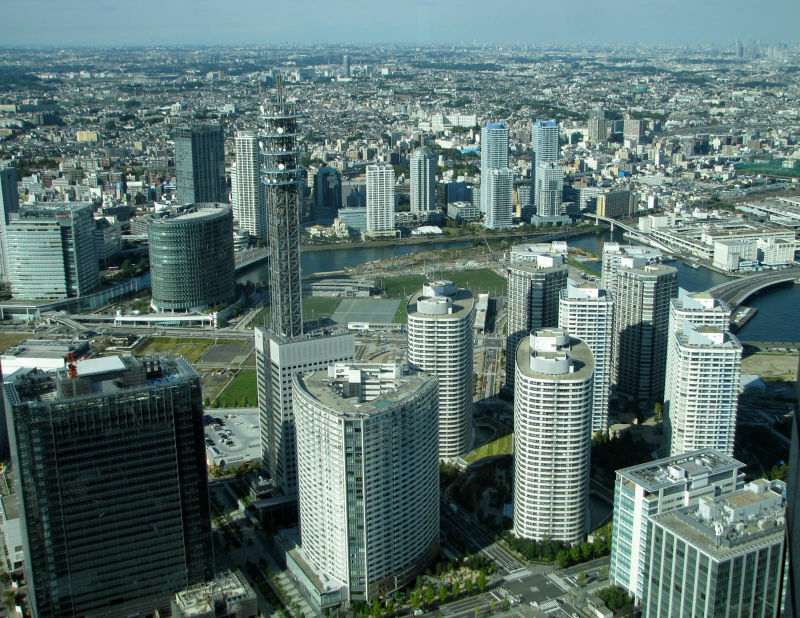 Yokohama is Japan's second largest city with a population of over three million. 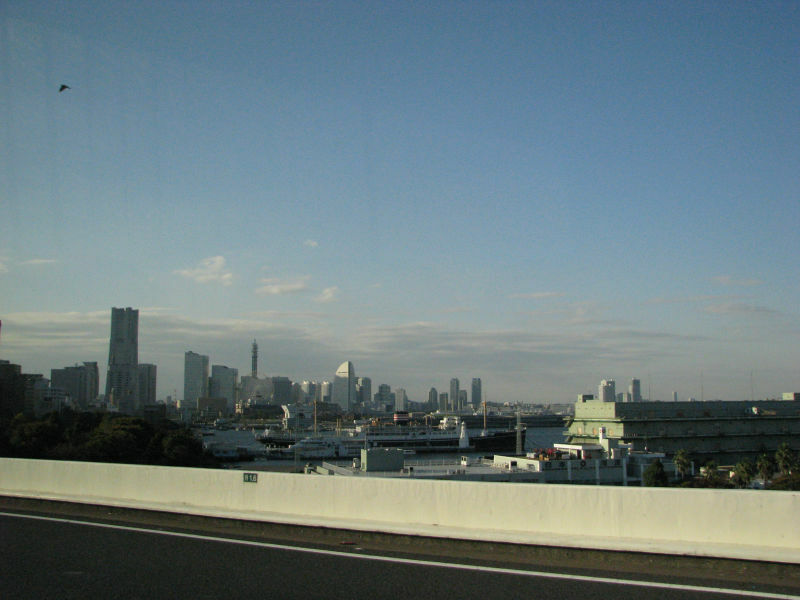 Yokohama is located on the western coast of Tokyo Bay directly south of Tokyo (29km / 18 miles). Towards the end of the Edo Period (1603-1867), during which Japan maintained a policy of self-isolation, Yokohama's port was one of the first to be opened to foreign trade in 1859. A major turning point in Japanese history happened in 1853–54, when Commodore Matthew Perry arrived just south of Yokohama with a fleet of American warships, demanding that Japan open several ports for commerce, and the Tokugawa shogunate agreed. 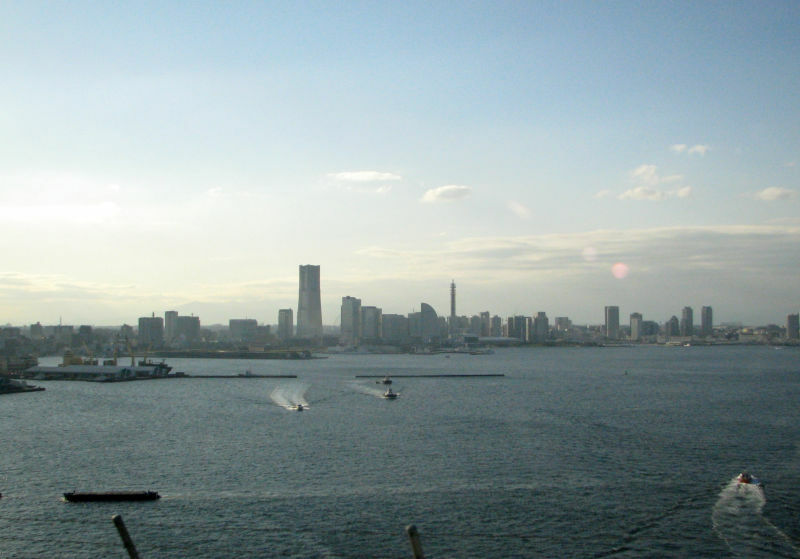 Consequently, Yokohama quickly grew from a small fishing village into one of Japan's major cities. 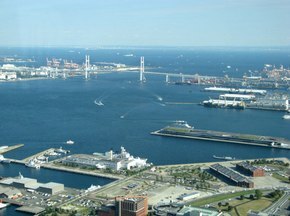 Yokohama has developed to be one of Japan's major ports along with Kobe, Osaka, Nagoya, Hakata, Tokyo, and Chiba. 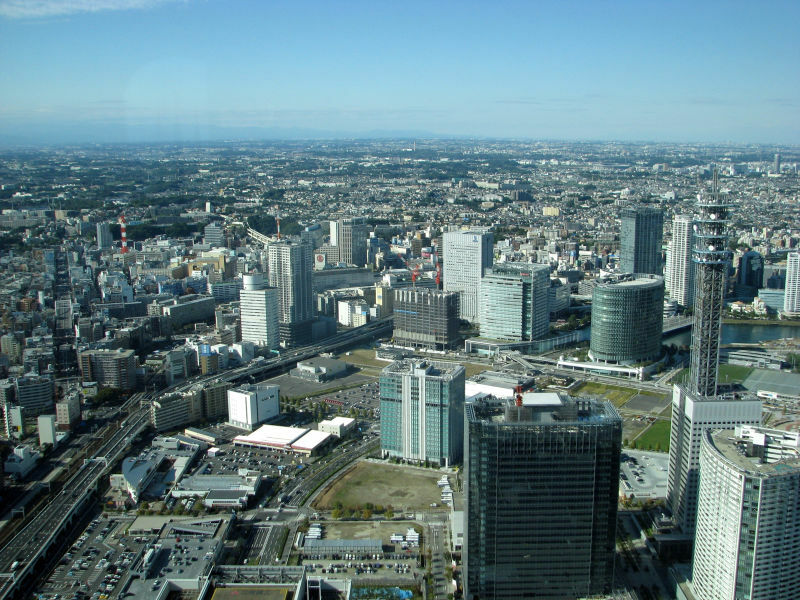 Yokohama was devastated by the Great Kanto Earthquake of 1923 and again by the firebombings of World War II, and never really regained its prominence. It remains a maritime city to this day and retains an international flavor. Kannai - the historic port area, where are the old districts of Bashamichi, Chinatown, and Yamashita Park, making Kannai a major tourist destination. Yokohama Chinatown is Japan's largest chinatown, located in central Yokohama.Chinatown quickly developed, after Japanese ports were opened to foreign trade. It became the residence of the many Chinese traders who settled down in the city. Today, a large number of Chinese stores and restaurants can be found in the narrow and colorful streets of Chinatown. Sankeien is a spacious Japanese style garden in southern Yokohama which exhibits a number of historic buildings from across Japan. There is a pond, small rivers, flowers and wonderful scrolling trails that make you think you are in Kyoto rather than Yokohama. The garden was built by Hara Sankei and opened to the public in 1904. Minato Mirai area is a seaside urban area in central Yokohama (name means "harbor of the future"). 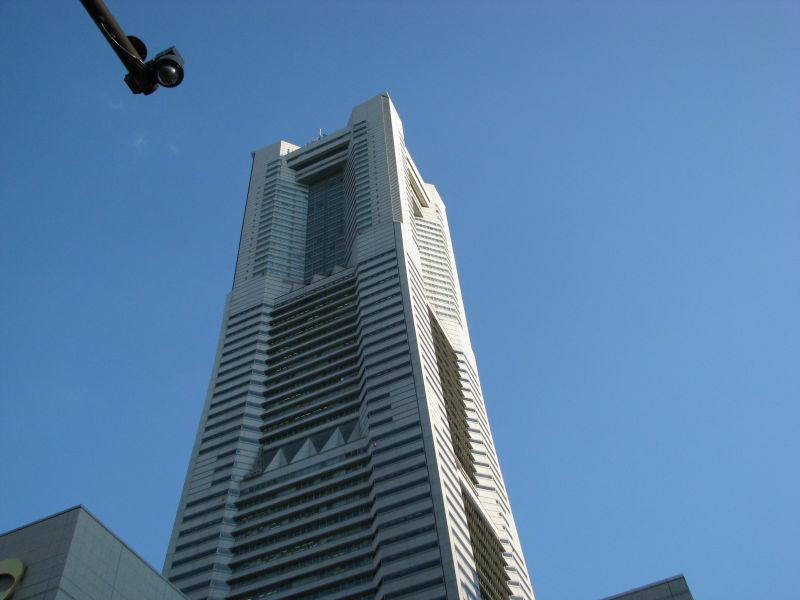 It has many large high-rises, including Japan's tallest building, the Landmark Tower. Visitors to the area will be able to find shopping centers, hotels, a convention center, an amusement park, a relaxation center with hot spring baths, museums and park space. Yokohama is a maritime city. 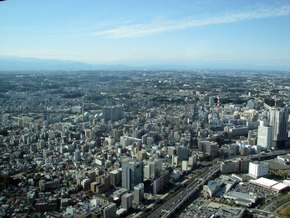 A view over the city from the Landmark Tower. 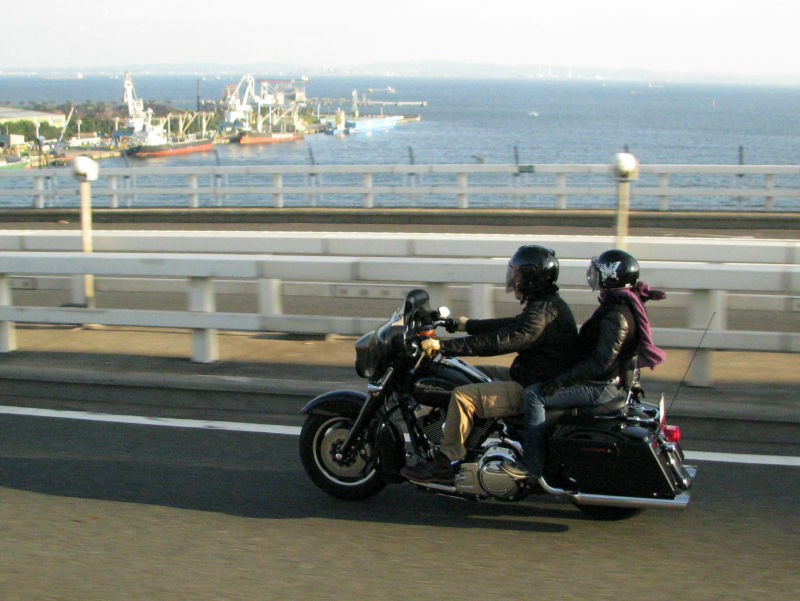 On a coastal highway in a land of fast motorbikes.